This kind of stalker believes that he is in love with you. To show his keen interest, he keeps calling you, dropping by, writing e-mails, doing unsolicited errands "on your behalf", talking to your friends, co-workers, and family, and, in general, making himself available at all times. The erotomaniac feels free to make for you legal, financial, and emotional decisions and to commit you without your express consent or even knowledge. The erotomaniac intrudes on your privacy, does not respect your express wishes and personal boundaries and ignores your emotions, needs, and preferences. To him – or her – "love" means enmeshment and clinging coupled with an overpowering separation anxiety (fear of being abandoned). He or she may even force himself (or herself) upon you sexually. Thus, regardless of overwhelming evidence to the contrary, the erotomaniac is convinced that his or her feelings are reciprocated - in other words, that you are equally in love with him or her. The erotomanic stalker interprets everything you do (or refrain from doing) as coded messages confessing to and conveying your eternal devotion to him and to your "relationship". Consequently, erotomaniacs react badly to any perceived rejection by their victims. They turn on a dime and become dangerously vindictive, out to destroy the source of their mounting frustration – you. When the "relationship" looks hopeless, many erotomaniacs turn to violence in a spree of self-destruction. 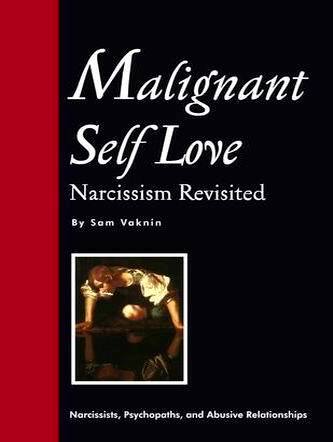 When the target of the erotomaniac’s delusions is a narcissist an intricate dynamic is at play. To the erotomaniac, the sensation of being loved is a form of addictive “narcissistic supply”. The narcissist in this sick dyad feels ignored and slighted because it is clear that the erotomaniac is interacting with a delusional, idealized image that has little to do with the real narcissist. The erotomaniac’s adulation, admiration, and attention are caricatures of the genuine articles and, therefore, cause narcissistic injury and constitute forms of low-grade or fake narcissistic supply. Ignore the erotomaniac. Do not communicate with him or even acknowledge his existence. The erotomaniac clutches at straws and often suffers from ideas of reference. He tends to blow out of proportion every comment or gesture of his "loved one". With the exception of the minimum mandated by the courts – decline any and all gratuitous contact with your stalker. Learn how to cope with the Narcissistic Stalker in our next article.